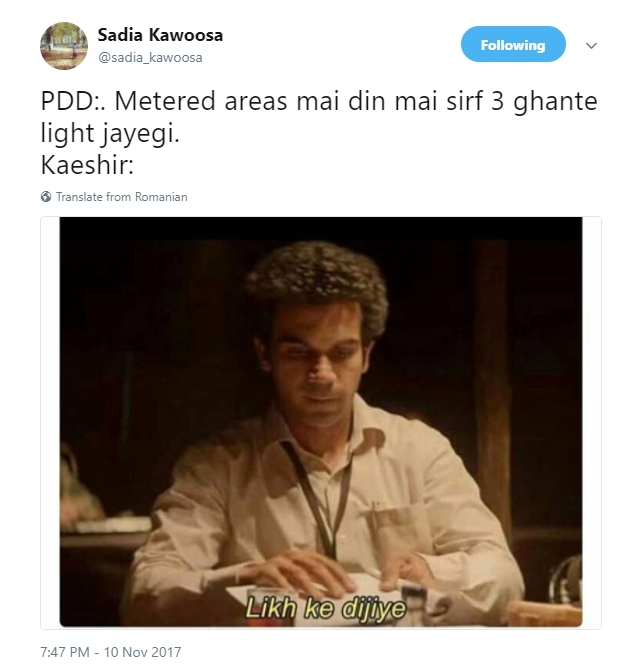 Kashmir has a love-hate relationship (or just hate) with power/bijli/light – whatever you call it. As soon as winter sets in, power starts playing hide and seek with people. It seems Darbar Move is meant for electricity, the Secretariat just follows, perfectly summed up by the twitter user, Mehreen Alam. Technically, the Darbar Move is meant for the electricity. The Secretariat just follows. But the real champion today is Miss Sadia Kawoosa. 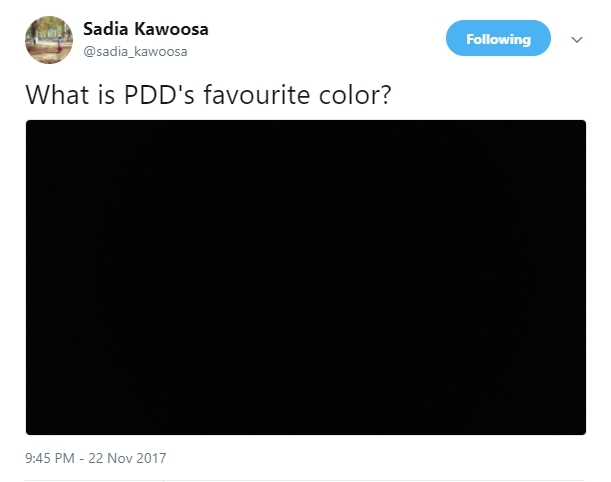 An engineer by profession, Sadia has been tweeting regularly these days about PDD woes. 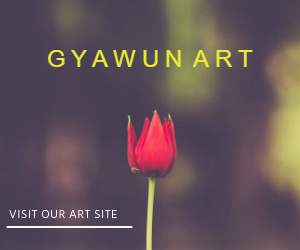 We are pretty sure you will laugh and cry at the same time when you read her tweets. *Hugs* We feel you! 5. Golmal ha sab golmal hai..
10. Hum kaale hai to kya hua, dil wale hai — no no no. One more gem from another Twitter user.